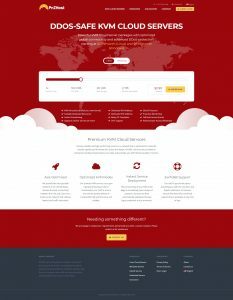 PNZHost – 3GB KVM @ 1Gbps for $5.99/mo along with other plans in the USA! Yong from PNZHost has submitted their first offer ever with us! They are offering KVM based virtual services out of Los Angeles and New York. They stated with Los Angeles when they opened their doors and are now starting to expand into other regions! We hope you enjoy what they have to offer and please let us know of any questions/comments/concerns you may have below. PNZHost supports payment through PayPal, Credit Cards, Bitcoin, Alipay and WeChat Pay. Kindly read their Terms of Service before making any purchase. Nice! I ordered a 2GB plan. Stepped out of my office to make myself an espresso and server was up and running by the time I got back. On initial testing/impression, seems good! I am happy to see that you had the opportunity to sign up for one of our special LowEndBox promotional plans. I would like to thank you for your business. I have no doubt that you will find yourself satisfied with our services even in the long term. If at any point you have any questions, please feel free to open a support ticket or contact me directly. My name is Danny and I am a customer success manager at PnZHost. If any members of the community have any questions, Yong or myself will be more than happy to answer your questions — in fact, we’d love to hear from you! 13 days, no response. Lovely. I apologize about the delay. Please note that our official communication channels can provide much faster response times (our ticketing system). Comments on this forum are not monitored 24×7 but I will of course try to check on this more periodically, as we receive more demand than expected from here. At the moment, we can provide an unlimited (within reason) number of IPv6 addresses for free in our LA data center, but not in New York just yet. Going to pick one up after work. What VPS control panel do you guys use? Thank you for your interest. We use the SolusVM control panel, and these are KVM based plans. If you have any further questions, please feel free to let me know. Signed up for the 3GB plan to use with docker… good performance for price but question: can I maybe after evaluating a month upgrade to the annual prepayment and get that discount? I just want to make sure performance remains this way but good first impression! Thanks for your help! Thank you for your registration. Of course we would be happy to arrange this for you. You will just need to open a ticket with our Billing dept. to process this upgrade. If you have any further questions, please do not hesitate to let me know. One of the fastest VPS’s I have ever owned. Thank you. Thank you for your registration and for your encouraging words. If you need any help, please do not hesitate to let us know. Please let us know your company history since 2008. Yeah, something seems fishy to me. The site popularity graph on Alexa shows PNZHost being irrelevant before April 2018. Do you have larger files for testing speed? Interested to try one, may I know if shared CPU or dedicated CPU? Thanks! I bought a VPS but unfortunately my original plan didn’t come to fruition (nothing to do with PNZ) so I had to get a refund so I wouldn’t have another idle VPS. I will say however these virtual servers are fast and it’s obvious these systems aren’t oversold. Will definitely order from PNZ again if the need and opportunity presents itself. This Zach is actually a scammer. Generally purchase from every where and making refund dispute. LOL. This sounds like Centrio Host…. Does their IP match any of their banned accounts? I have used many services offered here…. CVPS, Cyclone Studios, NFP Hosting, Ramnode, and BuyVM. Pretty sure if I opened disputes regularly I would be banned and would be black listed from ordering from these providers. The only PayPal dispute I’ve raised in the last 3 years is against Centrio Host and pretty much everyone on LET agrees with my reasoning. Thank you for the kind words and for trying out PnZHost. We hope to work with you again in the near future. If you have any questions, please don’t hesitate to contact us. Thank you for your interest in PnZHost. I am sure that you will be satisfied with our services. If you have any questions before registering, please don’t hesitate to contact us, or reach out to me directly. How much are additional IPs? Additional IP’s can be added for $1.50 per month. You can open a ticket to our Sales Department to request this for your server. if I ordered the $2/month one and later decided I needed to upgrade, can that be done in-situ? i.e. can the system be resized upwards without reinstallation? Thank you for your interest in PnZHost. I am pleased to inform you that upgrades can be performed without the need for a reinstallation (only a quick reboot). You can upgrade your server in our Harmony Panel at any time. If you have any other questions, please let us know. Support is spot on. Opened a total of 3 support tickets, and all of them were answered quickly (all within a 30 minute timeframe). Their control panel is intuitive and offers many options including the ability to change the server’s operating system at anytime. Server performance is great, and is much faster than my VPS with Hiformance. In short: Everything works great, and actually exceeds my expectations for $3/month. I would definitely put PNZHost on my top 3 as a recommended hosting provider. Thank you for your registration and for taking your valuable time to write your review about us. It is very much appreciated! If there is anything that we can help you out with, please do not hesitate to contact us. Thank you for your registration and for your interest with PnZHost! If you have any questions, please feel free to let us know. I could see that my colleague, Bryan, has taken care of this matter for you a few days ago. Please let us know if you require any further assistance. We signed up for their 3GB VPS plan on the 10th, planning to use it for spam-filtering. When I first started using it, it was really fast and responsive, I thought I was in geek heaven. Then I noticed it started slowing down on occasion, but it would quickly recover. Now it’s so slow it’s unusable. Just to give folks an idea, it takes a couple of minutes to get to where it’s downloading files when you do a simple yum update, even though it has been done before and there’s almost nothing left to update. Tech support had been very responsive up to this point but they don’t appear to understand what’s happening and their response time has gone up significantly. They reported the problem as resolved and asked me to test but there was no appreciable change. WARNING: the –test option is deprecated. You can pass a script name or path on the command line without any options. events per second: 8.11 << seriously??? Then I did a check with mpstat, which shows that some time is being spent servicing other virtual CPUs, which doesn't seem excessive to me but perhaps some other folks have more experience in this area. Are they overselling? Note that the reported 84% idle time is with no user processes running. I will keep everyone posted on our progress with this issue. I wanted to follow up and say that the problem has been resolved. I noticed this afternoon that the server was fast and responsive again… benchmarks are great but I was able to tell just as soon as I hit the return key on the shell, as it had gotten laggy on input keystrokes. I inquired on the open ticket and Caleb indicated that they had tuned and optimized the server. Now that’s more like it! Running it with 2 threads enabled gives you double the performance, as expected. I was getting a bit nervous there but my fears appear to have been unwarranted. So, my apologies and a big thanks to Caleb and the rest of the PnZ support team for taking care of the problem. Well, it seems I spoke too soon… My experience is similar to Luke Dixon’s below. “An error occurred processing your request. The host is currently unavailable. Please try again later. CPU performance is below 1% of normal, I don’t understand what could possibly make it this slow, but I’m a Xen guy and not so familiar with KVM. Googling around I see that there have been some issues with SolusVM and CentOS 7 (I’m running CentOS 7 on this VPS) but I don’t know if it’s related to that or not. Any ideas, anyone??? Are hackers mining cryptocurrencies on their servers without their knowledge? To me, it really doesn’t act like an oversold host, when it’s fast it’s consistently fast and when it’s slow, it’s veeeeeerrrrrrrryyyy slooooooooooowwwwww… it doesn’t bounce up and down like you might expect with varying loads. I’d expect that more with OpenVZ anyway… not so much with KVM. 95th percentile: 682.06 << WHAAAAAAAAAAAAAAAAAAAT? Not really sure what to do at this point… I should probably cut my losses and request a refund since it has been about 10 days now without an actual permanent fix but I have quite a few hours in setting up services on this VPS and would prefer to keep it if they could fix their problem. I certainly wouldn't put much faith in their VPSes being consistently usable/reliable until they are able to track down the actual problem and fix it. Kudos to @Caleb over at PnZHost as he’s been rather responsive to my support tickets. Caleb was quite responsive initially but then took progressively longer and longer to reply as time went on, I can only hope that this is due to them working on the issue. Caleb last responded to me on the 19th, late Saturday night, when he asked me to check again but there was no change in performance at that time. The server has been mostly unusable since, with periods of good performance but I noticed that it had been rebooted a few hours ago and is now quite responsive. So we’ll see how it goes… since it was rebooted I’m inclined to think that they may have fixed it but I still have not received a response indicating that I should re-check. In the meantime, I’ve grabbed another VPS from HostUS who has been incredibly reliable – shame on me for not going with them initially. If PnZ can fix this then I’ll keep them as a backup since the hours I spent setting up services on that VPS are worth far more than the annual cost. Still going! I believe that this is the longest period of time that the VPS has stayed usable. There’s still no new response to our ticket, it’s still marked as “In Progress”. I noticed this change after the server was rebooted and things have been working quite nicely ever since. So far, so good. My geeky curiosity is now piqued. If they’ve sorted it out and the issue is resolved, I’m hoping that Caleb or Danny et al, from PnZ will come on here and give us an idea of what happened. If they update my ticket with any useful info, I’ll pass it on here. Do you have a reference to a ticket ID that I can refer to so I can investigate your issue in a better way? I can’t reply to your post directly, probably nested too deeply… the support ticket # is: 955669 – titled “VPS unresponsive”. I bought a server, super fast, no bureaucracy, linux with instant activation. I recommend. Thank you for your business, and for the recommendation. If there is anything that we can assist you with, please let us know. Hi, will the yearly renewal fee will be the same as this offer($15, $22 and $45)? If I exceeded the bandwidth and space, will it will down as soon as possible or you guys will let users know and give them some time to maybe upgrade or fix it? The renewal fee will stay the same for as long as you wish to keep the server :) We will send you email notification’s when you are near your monthly bandwidth allotment. Please keep in mind that the bandwidth will reset on a monthly basis. May I know how much is the fee to add extra bandwidth? The offer seems to be valid for LA too but the test link is meant for only New York, possible to provide the link for LA too? I believe we answered your support ticket about this. Sorry to hear that you’re experiencing this problem as well. Just out of curiosity, are you also running CentOS 7 on this VPS? @Luke I’ve experienced the same but have been reluctant to see this being resolved. @Phil I’m experiencing similar performance issues on Debian 9.3 x64. The issues with our VPS appear to have been resolved so hopefully everyone else’s story here is the same. It was due to HDD issue and we have fixed it permanently and won’t happen again in future. This seems odd to me since the output from top and mpstat seemed to indicate that the virtual CPUs were spending more time waiting to be serviced by a real CPU (steal time) than waiting for I/O (IO wait). I mention this not to accuse them of overselling, but to use this as an opportunity to better understand advanced performance monitoring techniques. I’ve been using Linux for quite a while but I hadn’t really needed to delve too deeply into performance metrics. I suppose that a hard disk issue could potentially have some unexpected consequences and I want to understand this better. I’m thinking that anyone who makes much use of VPS providers would be well-advised to understand the basics, at least. I called the 1800 number on their website and it just hangs up on me as soon as the connection is made. Slightly sketchy. Thank you for your interest in PnZHost. I would like to inform you that we are in the process of switching to a vanity number to make it easier for customers to ring our office. During this time, a switch of provider was necessary, I apologize about the inconvenience. The toll-free number will be back in service by tomorrow. I believe that my colleague has already resolved this for you a few days back. If you still require assistance, please feel free to contact us. Your site support custom ISO to install Windows ? Yes, we support Custom ISO. Please contact us to mount it for you, and then you can finish the installation via VNC viewer. Bought the VPS a few days ago was busy in realife so I haven’t spend a single minute on the vps.. today I had some time on my hands and thought I can setup the vps now only found the vps to be unresponsive and teh control panel tells me the vps has been suspended for no reason.. we’ll see if the ticket gets a response.. otherwise it’s a paypal case.. I am happy to see that. If there is anything else we can help you out with, please let us know. The SSL cert issue on our SolusVM panel was resolved a couple days back. While I apologize for the trouble that may have imposed, that never affected service reliability/delivery otherwise. That being said, VNC viewer should be working now, please make sure you are accessing it from SolusVM. We have issued a full refund for you. Just bought the A KVM VPS. Got the “Your VPS is ready!” email, logged in SolusVM, says offline. VNC has “Failed to connect to server (code: 1006)”, tried to reboot and everything. I am happy to see that our support team was able to sort out the issue for you. If there is anything else you may need in the future, please feel free to contact us, for we are available 24x7x365. I asked for a refund because I wanted to buy something else from them. It’s been 3 days now and no response. Nice. We would be happy to look into this further. Did you open a support ticket to our Billing department in this regards? Solid provider! I started off with one VPS with them and eventually moved over my other VPS over to here. I can vouch for their reliability. Thank you for sharing this and I am glad to hear about your experience with PnZHost. If there is anything we can help you out with, please let us know. Yeah I have the same problem. It seems like they are working on this like on a part-time basis. Each ticket takes like 1 day to reply and most of the reply is escalated to management. We live and breathe hosting as a full-time occupation (and one that we are quite passionate about), so I apologize if we have given you an impression of anything less than that for it was not intentional. We recently added some new staff members to expand our team in our Singapore office. I would like to take a look and see what went wrong, and address the appropriate staff member if your case was not handled to your satisfaction, can you please contact me at danny@pnzhost.com with your information? Only a couple days after purchasing the service, my host goes unresponsive (no services working, ssh, vnc not working, control panel telling me the status was unknown). I file a ticket, I get what I expect is an auto-email back that it’s being worked on. Host comes back up 8.5 hours later. 15+ hours after my ticket was filed, I get a response that nothing is wrong and here’s a screenshot to prove it. I understand, stuff happens, hosts go down, whatever. What I don’t like is them basically telling me nothing is/was wrong, when I know damn well there was. Just be honest, even if you can’t give an ETA, not try and make me feel like an idiot. As a new customer, this does not give me much confidence, and frankly, I’m seriously considering requesting a refund for the full year. This does not sound right and is definitely something I would like to look into right away. If this was not resolved to your satisfaction, can you please email me at danny@pnzhost.com with your account details or provide me with a ticket number? I’ll make sure you are taken care of. After like a couple of days with them I starting to worry that this whole company is a one-man show or something. Tickets go unanswered for a while and they seem to be not aware of what is the problem. My credit card was charged twice and 2 services was spawned but only one of them is usable. Request for a refund and nothing happen. I bought and paid for a new server a few days ago and so far I did not receive it. It was 5 days. What happened? Hello Jacques, and thank you for your business! PnZHost is the most bad Hoster. I bought and paid for a new server a few days ago and so far I did not receive it. It was 4 days. No service reply my mails. Thez just took the monez, but not offer a server. It appears that your payment was declined by our payment processor for fraud, and they issued a full refund when declining the transaction. We do not have your money as they never released it to us after the fraud review. If you have any questions, please feel free to contact me at danny@pnzhost.com. I purchased and paid for a new kvm server for 5 days ago and until today I did not receive it. Hello Hasan, looks like you are the same poster as the above. Please kindly refer to the above comment. I am running 5 servers with them and only had 1 problem so far, but was fixed really fast. Support is prompt. The only real problem I have is waiting 18+ hours to install my services because its really slow. After that, I have no problems. I am delighted to see that you have chosen PnZHost and trusted us to be your provider for 5 of your servers. If there is any assistance you need, please feel free to contact us as we are available 24x7x365. I signed up as well for another project of mine. 14 hours no activation – Paypal refund requested. Don’t have time to deal with bait and switch cowboys. Upon checking, it seems like your payment is in a “collections” status which indicates that your payment was held back by PayPal (typically if you triggered one of their security or fraud checks) — this basically means that we do not have your money and is why our system did not activate your order. PayPal should be able to provide you with more details on this case as to why the payment was held back. However, if you require any further information from our end, please feel free to contact me at danny@pnzhost.com and I would be happy to discuss more details with you in a private communication line. Very pleased to hear that you chose PnZHost! Thank you for your business – If there is anything that we can assist you with, please let us know. I write these lines with the help of a translator, the service of this company is disastrous, the servers work well the first day and then there is no way to keep them on, uptime 4 hours maximum. The support is horrible, they do not know how to solve anything and finally, in spite of having informed the technical inconveniences and not having a solution, the billing part did not return the money. A total disaster. Do you have a reference to a ticket ID that I can check so I can investigate your issue in a more detailed way? You can contact me at danny@pnzhost.com, I can help you. Got the 3gig promo 3 weeks ago. I only had 1 restart over the weekend but so far so good. These guys are the worst. I am on their 3GB VPS with so so performance and for the past 48hrs the server has been completely offline and they are not providing any timeline as to when they intend getting the server back online. Is anyone also having this issue? I have over 6 years worth of data on their server! Stay away from these guys! Worst ever! Approximately 24 hours after ordering the service, service malfunction due to a network problem. I have had a good experience with the company, fast support and good machines. I would like to know if there is any discount for machines with 4 colors and 4 gb of ram. Super slow servers, I’m disappointed, the company should make an effort to improve this performance. I purchased a VPS and they told me in support ticket that I will receive login details in email but I did not receive any email. Also when I open support ticket it says I will receive copy in email but I do not. same issue never received anything been 12 hours. Network down for a week, for the first few days just did nothing but ask you to try again, few days after they said they are looking into it. Can you accept your service down for a week and not knowing when can be up agian ?